The first flavors that come to my palate are a strong sweet and a noticeable mustard. The chewing brings on more mustard definition and a tangy rice wine vinegar. For being marketed as, "Honey Dijon", it definitely stands up. The mustard flavor is well identified, taking on more of the french-style dijon as opposed to the American-style yellow. The honey flavor itself is hard to identify, but its sweetness is well represented. Otherwise, the primary taste profile is that of strongly sweetened dijon-style mustard, livened up with tangy rice wine vinegar. 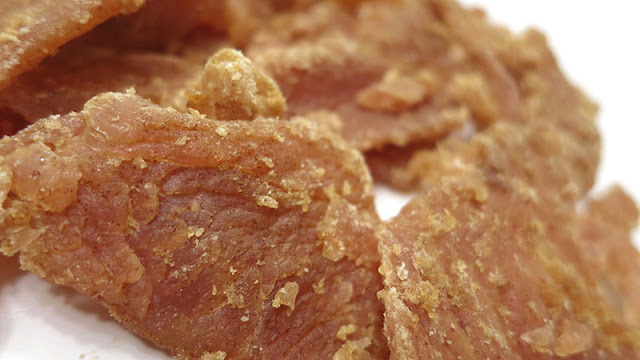 The meat consistency looks and feels like classic turkey jerky. 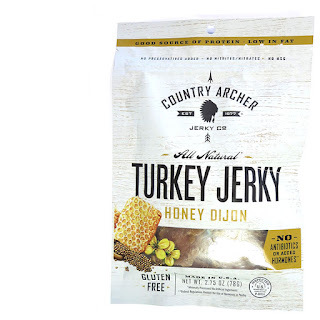 It's very easy to chew, more so than Country Archer's other turkey jerky varieties. The heavier sweetness creates a sugary coating, which seems to contribute to a mushier chew. But desipite the strong sweet, it's not sticky to handle, but dry to the touch. 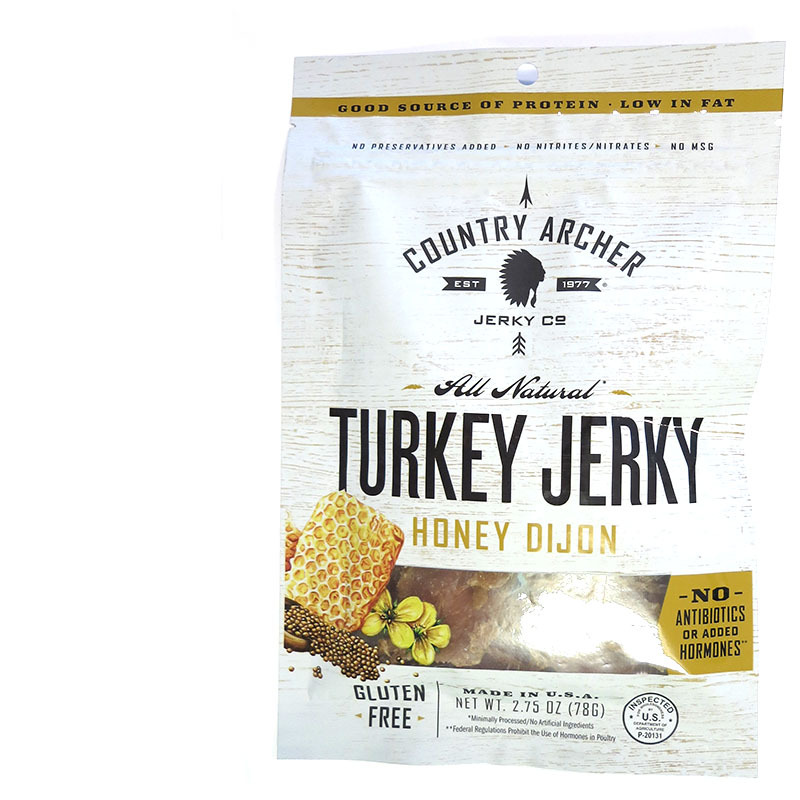 This Honey Dijon Turkey Jerky from Country Archer has a great flavor if you love dijon mustard. The mustard is well identified, and boosted with the tangy character of rice wine vinegar, and thick sweetness of honey. 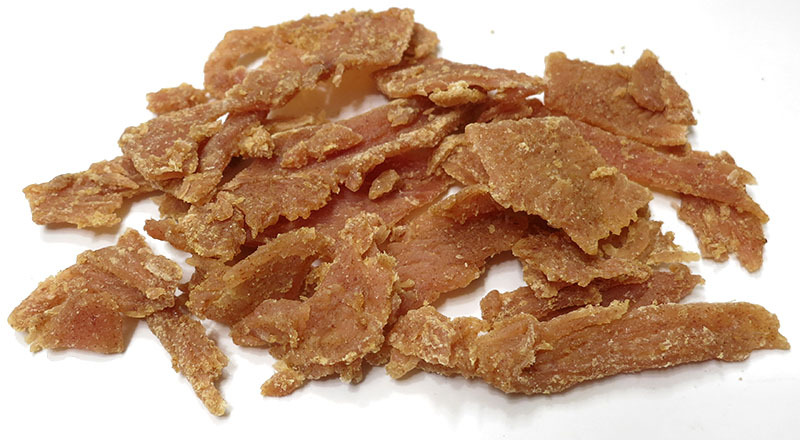 It's not savory, spicy, or salty like most turkey jerky brands, in fact, it's anything but. However, this is also an excellent example of how to make gluten-free jerky without adding salt. This tends to chew a little mushy, perhaps due to the higher sugar content, but I found it was offset by the great flavor. It would be good if the link to buy online opens in a new window so we wouldn't have to keep using the back button to get back to your site.